1. Schlage Accent Lever, 2. Andover Knob, 3. Champagne Lever, 4. Flair Lever, 5. Georgian Knob, and 6. Siena Knob. From the Schlage Decorative Series, the Schlage Wakefield Rosette is available with any of the listed door knobs or levers above. They are all shown in the aged bronze finish, but choose from several finishes and 4 functions. These are all images of the Keyed function, but you can get all of them in Passage, Privacy or Dummy functions. From top to bottom: Schlage Accent Lever – Matte Black, Schlage Flair Lever – Bright Chrome, Schlage Georgian Knob – Bright Brass, Schlage Plymouth Knob – Satin Nickel, and finally Schlage St Annes Lever – Antique Pewter. There are even more finishes to choose from! Come see! Exciting right? ?… Schlage’s Decorative Series keep on comin’! There are a few more styles… Just you wait! The Kwikset Katara Lever’s simple elegance will bring that modern design you’ve been searching for straight to your door. Available as entrance, like shown above, privacy, passage and single dummy functions. Choose from 4 available finishes, polished chrome, venetian bronze, satin nickel, or satin chrome. Alright, so you are looking for some replacement hardware for Peachtree, Premium Collection (or formerly known as Norco), Semco, Vetter or Weathersheild 3 Point Doors, right? Take a lookie at the measurements below (Configuration 5). Make sure they match up with yours. THEN… you get to look at some new hardware to replace your old stuff. For FUN! Emtek really gives you the option to make it your own with all the different finishes and styles. Mix it up! Trillenium doors are also known as W&F Manufacturing. If you are looking for some replacement door hardware for these doors, you came to the right place. 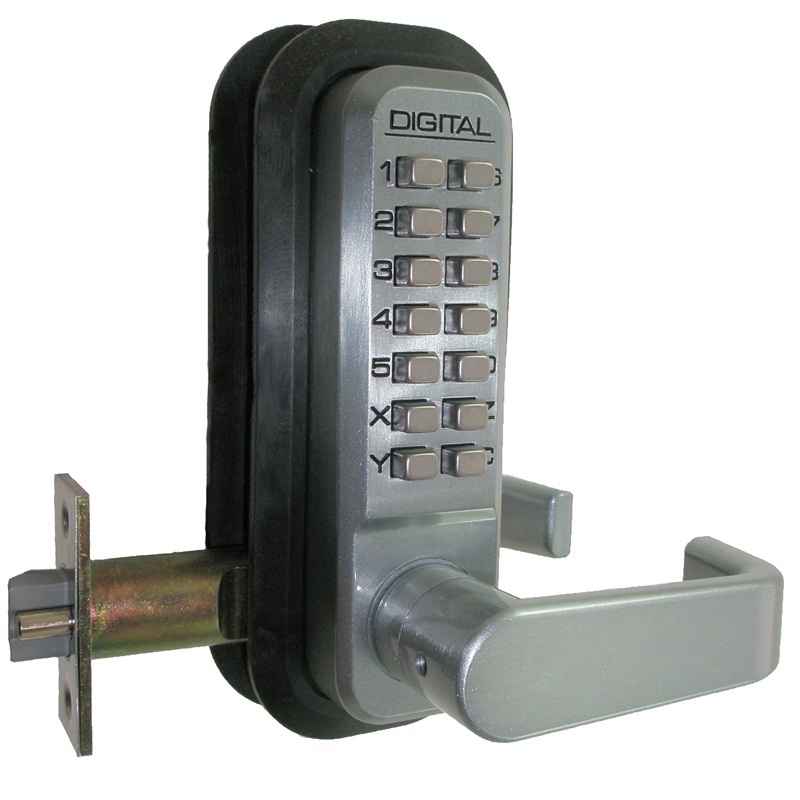 The measurements should match up to Emtek’s Configuration 7 under “Multi Point Patio Locks” on our site. Emtek is great for letting you mix and match the hardware to fit your style. Back when I was a kid I was so excited for the future; there were going to be flying cars, robots, holograms — you name it! With all of my dreams of fantastic futuristic amenities, it had never occurred to me that we would actually be able to buy stuff with the click of a mouse. Imagine that — purchasing some shiny new doorknobs with a computer! How cool is that?! Well, let me introduce you to something even more futuristic than online door hardware. The picture above shows the new Model 2835 Keyless Locking Leverset from Lockey. This keyless lever is perfect for garage doors, closets, and storage rooms — and the best part is, you don’t need a key to operate it! Available in multiple finishes (including Lockey’s special Marine Grade Finish), the 2835 Leverset will welcome you to the future in style. Get yours today! The Schlage Manhattan lever is a perfect door lever for any home. It has an attractive curve to it that catches the attention. There isn’t anything extreme that makes this stick out. It just has a simple beauty that calls your attention to it. There are five different finishes available for the Manhattan lever so you can have it match any home decor. 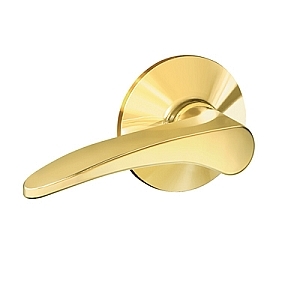 Schlage has a long history of producing durable, long lasting door hardware. The Schlage Manhattan lever follows right along with a limited lifetime warranty. You will definitely be satisfied with the purchase of this lever handle. 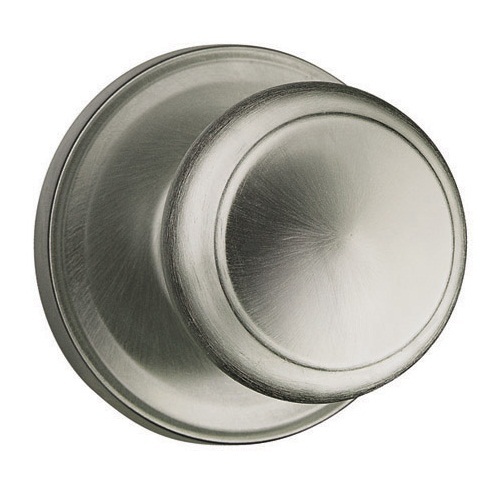 The Weiser Troy door knob is a good choice for you if you want a doorknob with just a little more accent. The flattened round shape of this knob has been very popular. We have seen lots of people purchasing similar knobs for the unique styling. There is something that just feels better when you grab a flattened knob. It fits in your hand better. 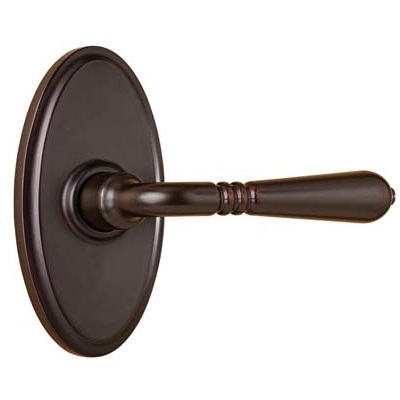 The Troy doorknob comes in a selection of 7 finishes. There are 4 functions that you can choose from, as well. The key difference between this knob and the rest of the doorknobs we have on the site is an embossing that runs around the edge of the knob. It gives a slight highlighting design that has been turning lots of heads. This door is designed with an adjustable backset that works with almost any door. Check out this knob and all our other classics brought to you by Weiser.